Our JRC Israel/Palestine Study Tour has been over for almost a week now, but I think I speak for everyone when I say it was a transformative experience for us all. I’ll also say that I am bursting with pride and admiration for my fellow JRC travelers. 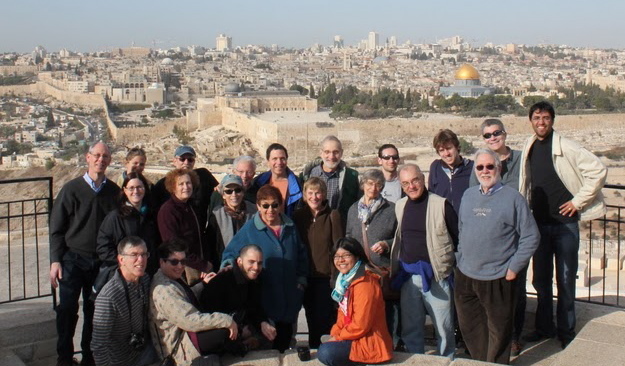 I don’t know for sure, but I’m fairly certain this was an unprecedented Jewish congregational Israel tour. 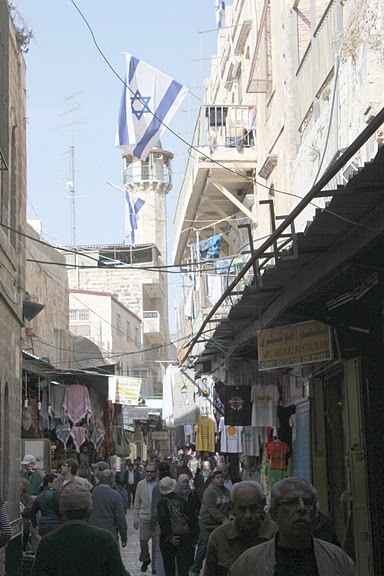 Most trips of this kind generally offer what I’d call a “hermetically-sealed” experience of Israel: an itinerary that remains largely west of the Green Line, offering participants a decidedly Jewish-centric perspective. I think most would agree it’s unusual for a rabbi to bring nineteen of his congregants on a trip that focused almost exclusively on East Jerusalem and the West Bank, spending the night in refugee camps, meeting with Palestinians, and learning from Palestinian civil society activists. It was great meeting your open-minded and courageous congregation, Brant. Courageous because they were willing to hear the Other. So yes, I’m very proud. Proud that we could take such a trip, and particularly proud of the congregational members who stepped forward to participate in it. Each and every one of them was willing to be deeply challenged – to lower their their ingrained defenses enough to face very real and painful truths – a reality that often directly contradicted the image of Israel with which they were raised. To be sure, it’s one thing to read about Israel’s oppression of Palestinians in the newspaper or hear about it second-hand; it’s quite another to witness it right in front of you where it’s impossible to rationalize or explain away. These congregants were willing to go places – literally and figuratively – where most American Jews remain resolutely unwilling to go. They were ready to let down their guard and be touched and transformed by what they saw. And they were. Over and over and over again. I also believe that in our obsessive need to achieve balance, we conveniently ignore the fact that this is an inherently unbalanced conflict. As trip participant Marge Frank so eloquently put it in her previous guest post, “When one people is being oppressed and occupied by another, there is only one side to the story: that of the oppressed.” For most American Jews, it seems to me, the truth of Israel’s oppression of Palestinians is impossibly difficult to admit – and so we habitually explain it away, rationalize it, or deflect it in the name of balance. At the end of the day, the experiences I wrote about on my blog this past week weren’t mere isolated examples of Israeli bad behavior. 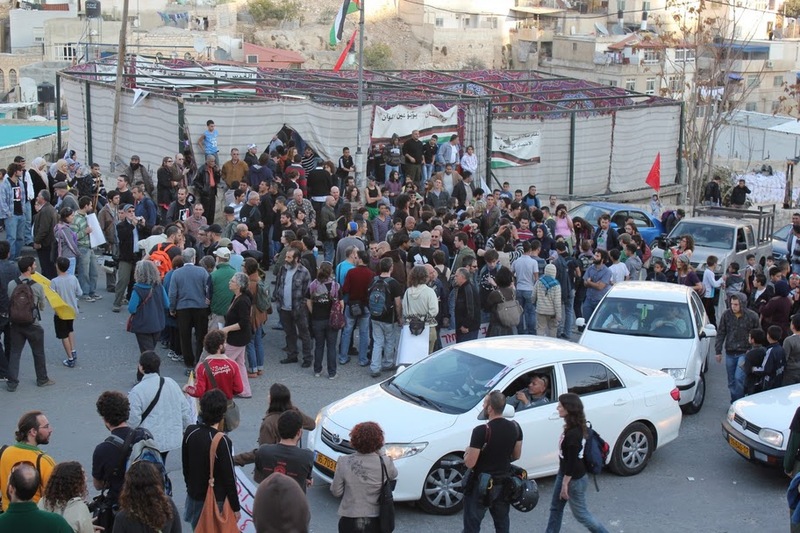 The home demolitions in Silwan, the attempted expropriation of Daoud Nasser’s family farm, the dehumanizing checkpoints, the racial separation and settlers’ harassment in Hevron – in the end I believe these are all part of a larger fabric of persecution. As painful as this might be for us to admit, these are not merely exceptional blemishes on the face of an otherwise healthy state. If any of us had any doubt about this, it became painfully difficult for us to deny once we saw it with our own eyes. While our group experienced some profoundly dark truths, however, we also bore witness to very real signs of hope: the resilience and dignity of the Palestinian people and the inspiring example of those Israelis who stand in solidarity with them. 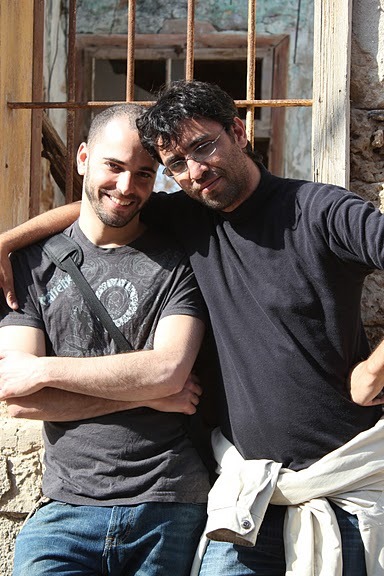 In this regard we had no more powerful example of than Aziz and Kobi, our Palestinian and Israeli tour guides – two very courageous men who have transcended their own painful pasts and are now devoting their lives to reconciliation, justice and peace. As every member of our group will agree, they were truly our guides in every sense of the word. For myself, I’m irrevocably committed to this journey now – and I am heartened beyond measure to know that there are American Jews who are willing to take it with me. 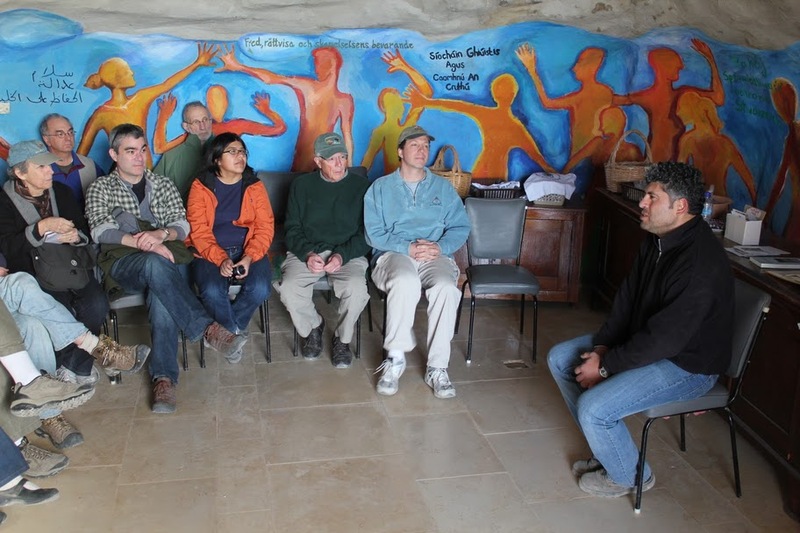 This entry was posted in Human Rights, Israel, JRC I/P Study Tour 2010, Palestine, Peace on January 2, 2011 by Rabbi Brant Rosen. Welcome home Brant and fellow congregants. May this journey bring blessing and hope to all who struggle for an end to violence and for freedom. You may have already heard that I’m going to join the Gaza Freedom Flotilla at the end of March. Bearing witness is never easy. You do an amazing job! Thank you for your initiative of building bridges. I have read your posts and I can certainly imagine from my own experiences how engaging an experience your tour must have been. From what I have read, your itinerary was orchestrated to support your political point of view -much like Birthright. To portray the Palestinians as powerless, and Israel as ALL responsible for their conditions, is to do harm to both peoples and weaken real hope for peace. 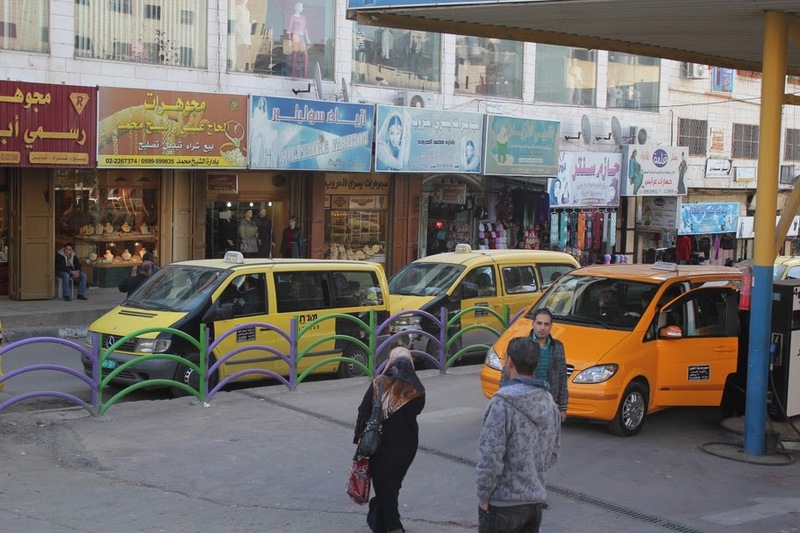 Palestinians must, at some point, take responsibility for the choices they and their leaders have made and they must understand how they contributed to their continued statelessness. The sooner this happens, the sooner there will be peace, borders, and perhaps the beginning of an Israeli-Palestinian renaissance. Why does the fact that so many American Jews go on one-sided trips make it OK for you to do the same? Wasn’t this just a different kind of “hermetically sealed” trip? You speak of going to the West Bank, but (at least from your description) it does not appear that you visited any settlements or spoke with settlers. Since there are about 350,000 of them in the W. Bank, that’s ignoring a pretty big part of the W. Bank. You may not like the settlements, but to simply avoid getting their point of view is to be on a “hermetically sealed” trip. 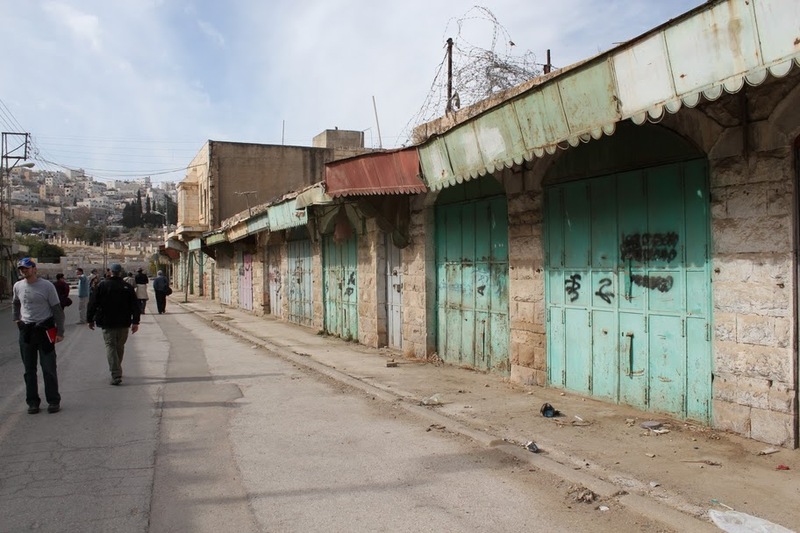 What would the trip have been like had you, in addition to visiting Palestinians, visited the five orphans south of Hebron whose parents were gunned down a few months ago by Palestinians, or the many Jewish farmers whose livestock are regularly stolen, etc. You might walk away saying that this is all because of the “occupation” but you would at least have the perspective that you don’t have now. Is there any people who don’t, at one time or another, feel like they are different, superior, unique? The history of mankind could be said to be nothing but a repetition of this for this group, then that. The lesson to be learned is that all are equally human beings and that, given a chance of standing above others, every group will take it. The lesson of Israel, to me, is that Jews are no exception. There is justice in the world and for all of the love of power and privilege that people have, they also have the sense of justice. We know that the two characteristics are almost mutually exclusive – those in power will forget justice and those concerned with justice will forget that they, too, could be seduced with power. Americans can easily forget the terrible deed that was the sweeping of the indigenous people from North America. We have no reason to be self-righteous. Nobody does. But all Americans can now exercise their sense of justice and withdraw the unthinking unconditional support that has allowed Israel to thumb its nose at the world. Your trip is very encouraging. Internationally, I’m greatly encouraged by the steady addition of South American countries to the list of those that recognized Palestine. Locally, at the very least, we should all be continually hounding Jan Schakowsky and Mark Kirk to do the right thing. I’m proud to say that you all are from my home town and that I know some of your personally. Well done! Thanks to all of you for taking this trip – and representing the spirit of JRC and what we believe to be true Jewish values. It is critical that we all continue to do whatever we can to make progress in the Middle East. In the end, it seems that the best place to seek Tikkun Olam is by repairing the rift between Jew and Arab within our own homeland. So very true …. With enough privilege and power, we are all capable of oppressing others in order to maintain our own positions. As we pursue justice, a healthy dose of humility, taught by all our faiths, is the remedy. Palestinians and their leadership – as well as Israelis and their leadership – have made decisions which have certainly contributed to this tragedy. 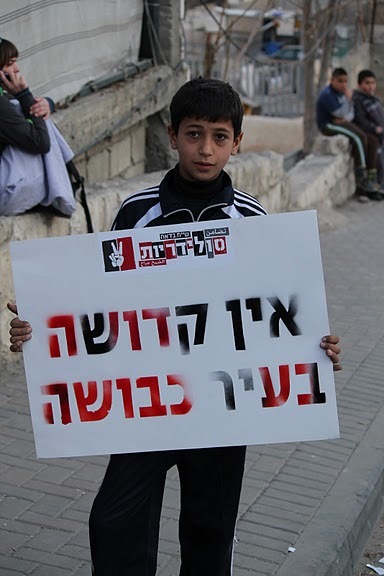 But no “understanding” by Palestinians of how that has contributed to their statelessness will bring about a just peace. The present balance of power is so lopsided, and Israeli political coalitions are so fragile, that unless world opinion and more importantly, U.S. foreign policy demands it, there will be no Palestinian state. JRC’s trip was “one-sided” in the sense that it set out to provide some balance to the one-sided picture that has been drawn for us for so many years. A true picture is that there are many Palestinians and many Israelis who are courageously standing for justice, peace and security.